Star Bulk is a global shipping company that provides high quality transportation services of dry bulk cargoes. On a fully delivered basis the Star Bulk fleet comprises 111 modern vessels built in world-class shipyards and with an average age of less than 8 years. Our fleet’s composition is highly diversified ranging from Supramax vessels to Newcastlemax vessels and has a total capacity of more than 12.6 million deadweight. Star Bulk's vessels transport major bulks which include iron ore, coal and grain, and minor bulks such as bauxite, fertilizers and steel products. Every year we ship more than 37 million metric tons of cargo across the world; safely, efficiently and with care to the environment. 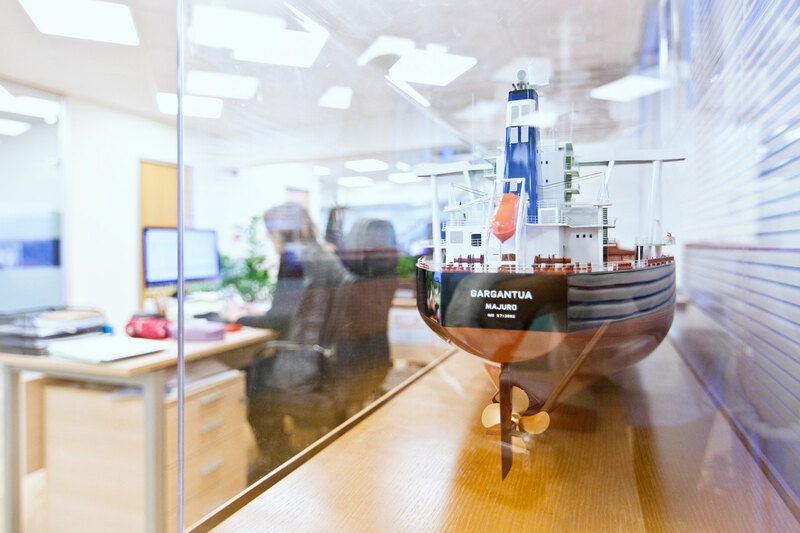 Star Bulk is one of the top performing shipping companies in the Rightship risk rating globally. Star Bulk was incorporated in the Marshall Islands on 13 December 2006 and maintains executive offices in Athens, Greece and in Limassol, Cyprus. Its common stock trades on the Nasdaq Global Select Market under the symbol "SBLK" and on the Oslo Stock Exchange under the ticker “SBLK”. Star Bulk also owns Star Logistics, a dry bulk commodity logistics company based in Geneva, which services the end user by connecting origination with destination of dry bulk commodities. © 2019 c/o Star Bulk Management Inc. All rights reserved.